Peter Thiel’s Mithril Capital Management LLC and Slack Technologies Inc. are participating in a funding round of around $6 million for Israel-based artificial intelligence startup Epistema Ltd, according to several people familiar with the matter. Tel Aviv-based Epistema developed a structured debate platform supported by automated data checks and artificial intelligence. Answers to questions posed by users on the platform are rated according to reliability, applicability, and user feedback. Epistema targets the financial markets, technology companies, and government agencies. So far the system has been piloted with intelligence entities and financial institutions in Israel and the U.S.
“We are an AI company trying to use this technology not to replace people but to accelerate their thought process,” co-founder and CEO Joab Rosenberg told Calcalist in an interview last year. “In many ways we are anti-AI,” Mr. Rosenberg said. Mr. Thiel has discussed the matter of human analysis versus machine analysis and the limits of the latter in the past. Epistema was founded in August 2015 by Mr. Rosenberg, Dror Ben-Eliezer, Shlomo Kraus, and Tzvika Katzenelson. The company raised $2.5 million early on, and it employs a team of 12. Israeli cybersecurity expert Isaac Ben-Israel and former Israeli National Security Advisor Yaacov Amidror sit on the company’s advisory board. In one of his past positions, Mr. Rosenberg, a veteran, high-ranking Israeli military intelligence officer, was the commander of the elite training program for outstanding students "Talpiot," credited as a major building block in creating Israel’s military technology edge. “Some researchers believe that with enough data and a learning algorithm any problem can be solved. According to this thesis, people are bumbling creatures burdened by cognitive biases. I believe no AI-algorithm can come up with a way to fix geopolitical problems in the Middle-East, or even manage a startup,” Mr. Rosenberg said. “In the era of post-truth, we want to create an index of reliability based on a combination of peer-review and data,” he said. A more news-oriented take on rigorous discussions is presented by Tel Aviv-based RootClaim.com. The company’s website presents questions and rates different answers. Two of the questions currently presented: “What caused the chemical calamity in Khan Sheikhoun on April 4, 2017,” and “What is the story behind Donald Trump’s hair?” (“Donald Trump's hair is a result of flap surgery - 60%”). The funding round for Epistema is led by MizMaa Ventures, a venture fund based in San Francisco, Hong Kong, and Israel. Other participants include the company's early-stage investors PICO Venture Partners, a Jerusalem-based venture fund, and Boston-based Flint Capital Fund. Elie Wurtman, a managing partner at PICO Venture Partners, confirmed the fund’s participation in Epistema’s current funding round and in the company’s seed round. 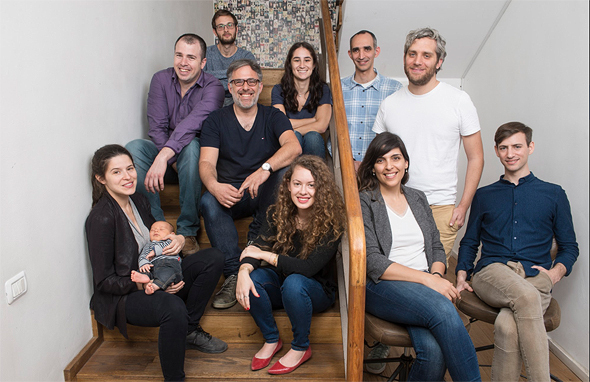 The addition of Epistema to its portfolio marks Mithril’s first investment in an Israel-based company and its second overall in early-stage companies. The fund established in 2012 by Ajay Royan and Mr. Thiel focuses on growth-stage and private equity investments. In 2014, the fund invested in a $1.5 million round for Redmond, Washington-based nuclear fusion startup Helion Energy Inc.
Mr. Thiel is the co-founder of big-data analysis company Palantir Technologies Inc.